Shock collars HURT! And in turn, they can hurt the special relationship you share with your pet. Despite what some trainers or pet store employees may say, shock collars are not safe or humane for your dog. Fear, or pain-based training methods may have some short-term results, but they can also lead to other behaviour problems such as aggression, phobias and high levels of stress in your dog. Unfortunately, your pet may also associate the pain and discomfort of the shock with other things in the environment at the time, namely you, causing a breakdown in the bond you share. 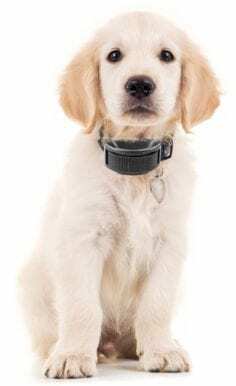 Shock collars do not help your dog understand what positive behaviours you are seeking – they only inflict pain for unwanted actions. Studies show that humane training is just as effective in changing behaviour as fear-based methods. The best part is that your pets earns treats and praise while learning good behaviour – a win-win situation! Learn about reward based dog training. Veterinarians and humane organization have long recognized that punishment-based training can be detrimental to pets. Join the fear-free training movement today and pledge to end the use of shock collars and other aversive training methods.